The Kraken is a new Wonder Weapon included in the Voyage of Despair zombies map of Black Ops 4. In this guide you'll find details for obtaining the Kraken weapon, what it does and even steps to upgrade it. In Voyage of Despair, kill 9 enemies with a single shot of the Kraken. As the description of the trophy alludes, the Kraken is a powerful weapon capable of killing multiple enemies in a single shot. 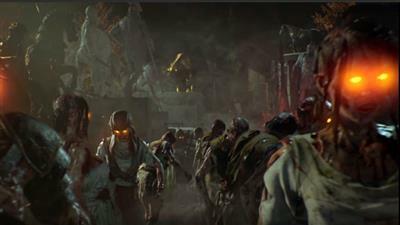 This is common trait for all Wonder Weapons in Treyarch zombies and the new Black Ops 4 weapons: Kraken, Magmagat, Death Orion and Project Skadi Prototype follow the same traits. Traditionally, a Kraken is a legendary sea monster, much like a giant squid, which makes the naming of this weapon the perfect fit for the naval environment of VoD. Without going into too much detail on the BOSS fight for Voyage of the Dead - there's a very good reason why the weapon is named as such. With VoD being such a large map (one of the biggest in Black Ops 4) and with much of the map being underwater it makes sense that the Kraken works perfectly when submerged. 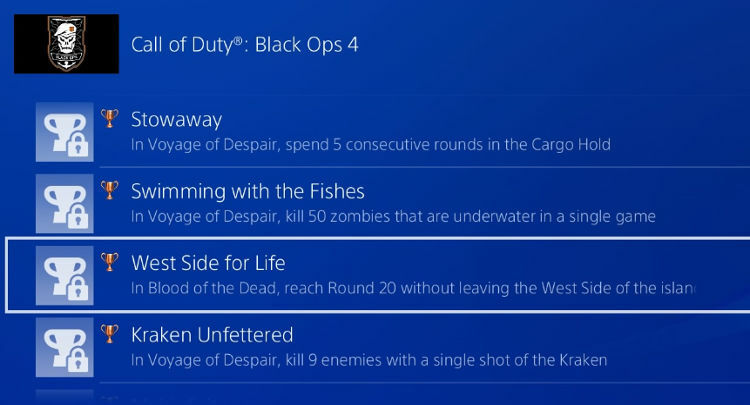 It's perfect for underwater kills that'll help you towards the "Swimming with the Fishes" trophy which is obtained by killing 50 zombies underwater. There's no doubt that the Kraken is an essential part of the larger main Easter Egg quest for Voyage of Despair named "Abandoned Ship". Players must "complete the trial" to unlock this trophy achievement and access the ending cutscene. Getting the Kraken is as straight forward as it gets. Simply spin the mystery box as many times as necessary to pull out the Kraken weapon. It's a large gun with three chambers and a hefty base. Your character will say "Rapid Fire Tri-Cannon with flintlock activation and easy reload? Someone made this baby with love". Like a powerful shotgun, the Kraken fires a single blast that insta-kills zombies. The reload is slow though so use it carefully with space to maneuver. In Voyage of Despair, the Kraken weapon can be upgraded to four elemental varieties. Starting with the base weapon, players can collect a number of unique parts to unlock more powerful versions. Each of the elemental versions has a new name and a specific blast effect. Before you can upgrade the weapon you must find the THREE missing pieces to complete the upgrade workbench. This workbench can then be used to switch ammo types (e.g. for 3000 points) to Plasma, Purity etc. Before starting the upgrade process it's also worth using the Pack-a-Punch to increase the magazine size of the Kraken to 12 and it's base power. Assemble the upgrade parts at a workbench. The fourth part for the upgrade is dropped by special zombies, allowing you to switch out the equipped ammo types at any time. The Plasmatic Kraken is essentially the Fire upgrade for the Wonder Weapon. To upgrade to Plasmatic, kill the fire wielding axe zombies and collect the body parts which drop. Return to the workbench and switch ammo types for 3000 points. 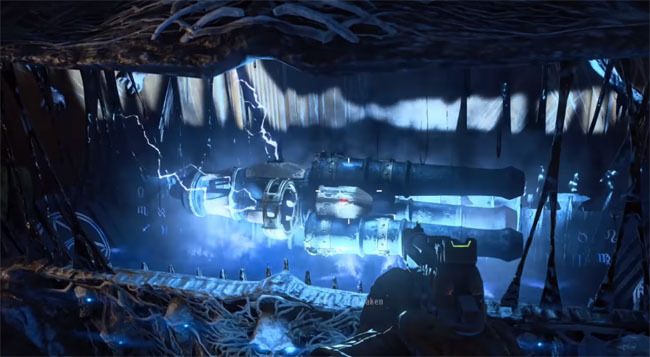 Behaving much like the Winter's Howl from Classified, the Purified Kraken is essentially the Ice upgrade. It's icy blasts will freeze zombies immediately. To upgrade to Purity Ammo, simply kill the ice zombies on the map and collect their body parts. Again, return to the workbench to pay 3000 points and swap ammo types. Note, other upgrade types will be added soon but follow the principles of killing special zombies and switching out the Kraken ammo at a workbench.